On April 8, 2011, the Wall Street Journal published an opinion piece by Evan Goldstein that made numerous ill-informed criticisms of Kabbalah. Mr. Goldstein’s piece prompted an outpouring of responses from theologians of various backgrounds. In particular, there is a very astute analysis by Dr. Pinchas Giller. Professor Giller is not a member or a student of the Kabbalah Centre. People don’t get to choose their relatives and academic scholars don’t get to dictate the historical arc of their fields. Evan Goldstein’s intellectually lazy op-ed piece on the Kabbalah center broke no new ground, nor did it make any points that had not been made when the Centre’s activities became widely known thirteen years ago. The truth is that scholars of Kabbalah recognize that the Kabbalah Centre’s activities form an important late stage in the history of Jewish mysticism. As such, a number of important young Israeli scholars have written respectfully on the history of the Centre, its origins and offshoots. Among the tenured professors of Kabbalah who have written extensively about the Kabbalah Centre are Boaz Huss of Ben Gurion University, Avraham Elkayam of Bar Ilan University, Jonathan Meir and Jonathan Garb, both of the Hebrew University in Jerusalem. On our shores, a Jewish historian, Professor Jody Myers of California State University at Northridge, has written an important book, “Kabbalah and the Spiritual Quest (Praeger 2007),” which examines the history and teachings of the Kabbalah Centre. These people write about the Kabbalah centre because it is organically part of the history of Kabbalah. It is inappropriate for scholars to disparage contemporary movements because they are insufficiently elegant. Academics have been short sighted before. Gershom Scholem referred to the great Kabbalah academies of Jerusalem as “belonging to the Sefardic and Arabized tribes.” I heard objections raised to the Messianic movement in Chabad hasidism, because “Scholem said that Hasidism must be non-messianic.” One gets the feeling that some scholars require that their subjects be dead for at least a century before they deign to study them. It is paradoxical that kabbalistic ideas, which are very complex and arcane, have often crossed over from Judaism into other cultures. In late antiquity, Kabbalah originated in the welter of esoteric traditions that also produced Christianity and Gnosticism. Ideas in the great kabbalistic work, the Zohar, also appeared in the teachings of some Catholic monastic orders. In the sixteenth century, a student of Isaac Luria, Israel Sarug, sailed to Italy and taught Kabbalah to the neo-Platonists of the Renaissance. 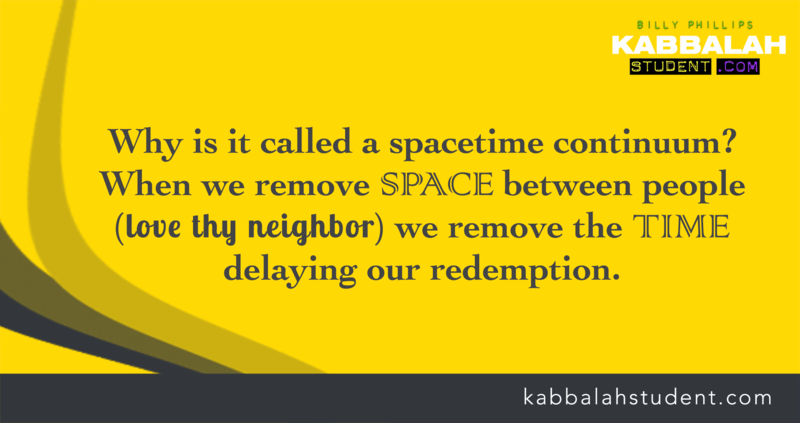 So it is the Kabbalah has often been a “cross-over” phenomenon; that is nothing new. In fact, much of the outcry against the Kabbalah center is based on simple jealousy. The Centre operates off the grid, outside of the hierarchy of the faltering Jewish organizations and Synagogue networks. They have success with two groups, young adults and expatriate Israelis, who have resisted affiliation with the main community. Other groups flourish off the gird, such as the Chabad Movement and the Aish ha-Torah and Or Sameach organizations, but these groups are protected by the Orthodox movement that they serve. The Kabbalah Centre has no such protectors and therefore has been hounded and mocked by the mainstream community since it came to prominence, in the latter part of its eighty-year history. Meanwhile, the Berg family’s activity has been successful at both a popular and a “high” level. In latter terms, their kabbalistic prayer book with kabbalistic intentions Tefilah le-Oni, is a particularly erudite work in that rarified area. There are things to criticize in the policies of the Kabbalah Centre, as there are criticisms that could be leveled at any religious movement in Judaism by those who don’t subscribe to it. However, the decision of the scholarly community is that the Centre bears scrutiny as an important link in the history of Kabbalah. Responsible scholars will be observing the evolution of the Centre, as they have reviewed its origins, history, practices, doctrines and other “facts on the ground” of the Centre’s role as a late manifestation of Lurianic Kabbalah. The truth will always prevail in the end. Much of the “criticism” I hear is based on rumors started by people who probably did not even set foot in a Kabbalah Center. I for one, have only experienced wonderful and amazing things. thank you for informing us of the one-sided publication by the Wall Street Journal. Hopefully, the Wall Street Journal will decide to publish both letters and let the readers decide what they choose to believe about the Kabbalah centre instead of just giving them one side. Here is my email addressed to the Editor in Chief of the WSJ. I included it so you can use it as a reference if you wish.. I am writing to you to voice my concern and great displeasure in the Wall Street Journal, regarding 2 points. Secondly, the Wall Street Journal refuses the right of reply by silencing not one, but two scholars who sumbitted letters to the WSJ pointing out the truth – contrary to to what the WSJ states. These scholars are Dr Pinchas Gillar and Dr Hugo Schwyzer. WSJ REFUSES to publish either of these letters as a democratic Right of Reply. Is the WSJ truly the ‘free press’? Or is it a biased and gagged publication? The Freedom of Speech is a major pillar underpinning Democracy. The ‘free press’ has a duty and an obligation to defend, fight for and support not only the Freedom of Speech but also the Right of Reply which to turn a phrase coined in Australia by one of our famous Politicians, is to “keep the bastards honest”! Consider for a moment, if the Right of Reply was given to these scholars, if Gershom Scholem nose would be so “sharp” or would it have been blunted by the journalists pencil by a fair punch in the face of a good old dose of truth? The WSJ has a high reputation in the global media. Until now. If your publication continues to deny the Right of Reply, then it is in great danger of eroding our Democratic rights of freedom. Our constitutions and built on this. A one sided view is a biased view, and its a dangerous and slippery slide your publication is on. -inform me of progress when this has occured or the date of publication. I believe that Pinchas Giller said it all and said it best. His response should have been included in that original article. Everybody has the right to hear both sides of a story. I am glad that I had the opportunity to read his response. For the last 3 years I have been a student of the Kabbalah Centre in Los Angeles. I do not represent the Kabbalah Centre in any formal capacity. I am neither an employee, nor an administrator of the Centre. I am not a teacher, nor am I a consultant. The directors and staff of the Kabbalah Centre have no knowledge that I am in contact with you, so my solicitation is not officially sanctioned by them. I’m just a student and therefore have no hidden agenda and nothing to hide. On April 8, 2011, you published an article by Evan Goldstein about the Kabbalah Centre. Mr.Goldstein’s ill-informed piece triggered many responses from intellectuals and theologians .Regretably you have refused to publish any of these responses. I refer specifically to the fact that you have declined to publish the comments of Dr. Pinchas Giller. Professor Giller is not connected to the Kabbalah Centre, but he clearly felt it important enough to write a letter to you, yet to date you have refused to recognize or publish the letter. Other scholars, such as Dr. Hugo Schwyzer also sent letters to you. So far, none have been published. I’m sure you would not be happy if The Wall street Journal became a publicationl which has lost its purpose – that of providing balanced views without bias or political agenda. The Kabbalah Centre’s teachings have helped me experience real miracles in my life and the lives of my family. The Centre stands as a lone beacon of Light in a world full of darkness, and for those reasons alone I have attached copies of both Dr Giller’s and Dr Schwyzer’s Op-Ed Submissions, and I would urge you to publish these without delay. I intend to remind you every few days until I have a reply that states these rebuttals will be published. Thank you for sharing this with the world. The truth shall make you free and really, in the end, we will all be free to continue our growth and the transformation of the world until we arrive to the era of the Messiah!! I will share with my friends this and all your writings. We should all email an attachment of the letter to each of them voicing our protest that the WSJ has become a biased journal which has lost what the purpose of journalism is – that of providing the people balanced views without bias and political adgendas. If your readers do so, please send a letter in love and higher consciousness of bringing peace to the world. I intend to do this every several days until I have a reply that states the letter will be published. Contact Allen Murray first – he is the Executive Editor of the publication. All we want is the truth published. Please feel free to copy and paste the urls from my articles on Dr. Hugo Schwyzer and Dr. Pinchas Giller and include in your emails to the above. Or, if you email me, I can also give you a PDF file of the actual letters to email in as well. A global worldwide response would be powerful! I sent your email to the people of wsj.ltrs@wsj.com and edit.features@wsj.com. I wish I can help out further, but this is all I can do from my end. It is in opportunities such as this one, provided by this type of ordeal, that the Righteous prove to be worthy their path on HaKadosh’s Light, blessed be. Great post! Professor Giller said it best when he wrote: “One gets the feeling that some scholars require that their subjects be dead for at least a century before they deign to study them.” I too suffered from such an outlook until I read professor Jody Myers book “Kabbalah and the Spiritual Quest” which I have to admit gave me a new found appreciation for the Kabbalah Center.